After 25 years of service to the Association of Avian Veterinarians (AAV) as the Editor-in-Chief and as Scientific Editor for the Journal of Avian Medicine and Surgery (JAMS), Drs. James Carpenter and Katherine Quesenberry have announced their respective retirements. The AAV has been extremely fortunate to have benefitted from the experience and expertise of Drs. Carpenter and Quesenberry to consistently produce a peer-reviewed veterinary journal of exceptional quality and value. A search committee has been formed to begin the process of selecting a new Editor for JAMS. A full description of the duties and responsibilities of the position can be found below. Interested parties should contact the AAV Executive Director Bob Groskin at rgroskin@gmail.com for further information. 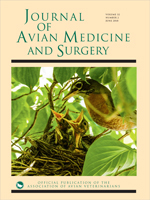 The Journal of Avian Medicine and Surgery (JAMS) is a peer-reviewed, scientific publication in the field of avian veterinary medicine and surgery. The circulation volume of JAMS is approximately 1,400 subscriptions. The Journal of Avian Medicine and Surgery is the official journal of the Association of Avian Veterinarians (AAV) and is published by the AAV. A full description of the duties and responsibilities of the position can be found below. The position will have primary responsibility for the publication of JAMS. The Editor will work under the guidance of the AAV Executive Board. The position can be based at the successful applicant’s current location. The Editor will be paid as an independent contractor with compensation of $37,500 per annum. The expected term of office is a minimum of five (5) years. Preference will be given to candidates with a DVM/VMD degree and a strong interest and experience in the field of avian medicine and a solid record of scientific publication. Recruit Associate Editors to the JAMS Editorial Board. Maintain a list of Associate Editor names, degrees, affiliations, contact information, and duties and responsibilities. Provide guidance, mentoring, and coaching to Associate Editors. Provide Associate Editors with clear and concise instructions and the mechanisms to ask questions of or express concerns to the Editor. Provide Associate Editors with a list of potential Manuscript Reviewers and methods of procuring additional Reviewers using the Allen Press submission and peer review management system (currently Allen Track). Monitor the activities of Associate Editors to ensure fair, timely, and thorough editorial review of manuscripts. Remove Associate Editors from the JAMS Editorial Board that do not fulfill their duties and responsibilities. Perform Initial Quality Check of each submitted manuscript. Evaluate all manuscripts after initial submission to JAMS through Allen Track to determine if the manuscript meets the needs of the Journal regarding the subject matter and the target audience. Each Associate Editor then assigns two Manuscript Reviewers to each manuscript. Each Associate Editor generally oversees four manuscripts per year. Evaluate the decision of the Associate Editor and make final decision (accept, revise, reject) on each manuscript. Evaluate style, format, grammar, tables, references to ensure they meet the standards for JAMS. Request any necessary revisions directly from authors via Allen Track. Ensure prompt, fair, and thorough manuscript review and editing through regular and timely communications with authors, Associate Editors, and Allen Press. Assign fully accepted manuscripts to a journal issue number to ensure adequate number of original articles and cases reports as well as “What’s Your Diagnosis” articles per issue. Currently, JAMS publish 10 to 12 manuscripts and one “What’s Your Diagnosis” article per issue. Issues are published quarterly. Perform initial macro- and micro-editing of each manuscript as needed before final submission to Allen Track for copyediting and typesetting. Evaluate each manuscript for accuracy of numbers, tables, references, figures. Make grammatical changes following general editing guidelines and principles of the American Medical Writers Association. Proof all galleys for each manuscript/article in each issue before publication. Inspect each galley for accuracy, typographical errors, printing errors, and any errors introduced by copy editor. Evaluate for any final author queries needed on each manuscript. Meet submission target date for each journal issue to ensure timely publication of quarterly journal issues as best as possible. Authors – Communicate with manuscript authors as necessary for manuscript revision through Allen Track. Ensure that the manuscript review process is as positive experience for authors as possible. Associate Editors – Communicate with Associate Editors as needed. Facilitate communication between authors and Associate Editors through Allen Track. Reviewers – Communicate directly with Manuscript Reviewers when necessary. Facilitate communication between Associate Editors and Reviewers through Allen Track when needed. Allen Press – Work directly with the Managing Editor for JAMS at Allen Press. Maintain current Annual Production Timelines and Guidelines. Respond to Release of Copyright requests and other requests for publication of JAMS content elsewhere. Maintain all Release of Copyright request forms. Maintain Release of Copyright forms from authors for Sources for Journal Publication. 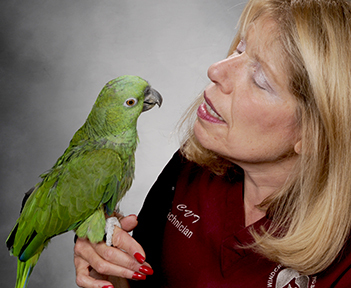 Attend in-person at the annual conference of the Association of Avian Veterinarians (AAV). A stipend will be provided to cover travel expenses. Prepare both an annual and a mid-year JAMS Editorial Board report for the annual and mid-year AAV Advisory Council meetings. Conduct an on-site annual JAMS Editorial Board meeting with JAMS staff and Associate Editors at the AAV annual conference. Interface with the AAV Executive Director, AAV President, and AAV Executive Board as needed. Interface with Allen Press on AAV issues. Attend professional and educational conferences or meetings to ensure compliance with the standards of industry for journal publication and scientific review. A stipend will be provided to cover travel expenses. If an Editorial Assistant is used, oversee the activities of the Editorial Assistant (including the verifying of all references for accuracy). Other duties and responsibilities as directed by the AAV Executive Director, AAV President, and AAV Executive Board.